Minimalism – Julie Froberg Rose in L.O.V.E. Lately it turns out my general theme for Thursdays has been purging. I think it’s because there is so much we think we need in life; where in reality we do not need much. Especially this time of year, we see excess. We want to show our loved ones how much we care, and may overcompensate with gifts. Every year I start decorating for Christmas the day after Thanksgiving. This is usually a 2 to 3 day project, as it “must ” be perfect. Usually this involves a few more trips to the store, as it seems something is always missing. Even if we are not entertaining for the holidays, I derive satisfaction from a festive atmosphere. It warms my heart on cold winter days. 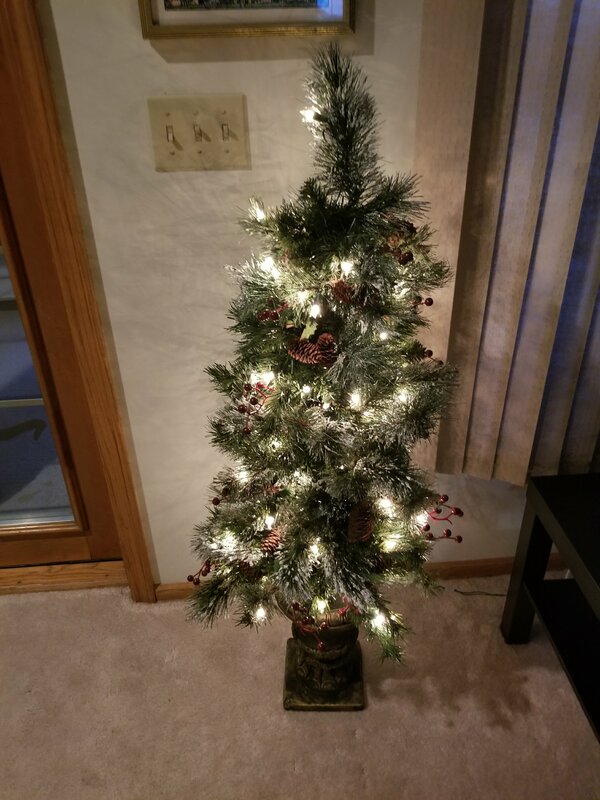 This year my husband casually mentioned that perhaps we didn’t need a tree up, as we will be visiting family in California for Christmas. As I surveyed our living room the day after Thanksgiving, trying to decide where to put the tree, my husband’s words came back to me. I began decorating, keeping in mind the new minimalist practices we are trying to adopt in our home. A small prelit tree replaced our usual tree. Only favorite pieces came out. Instead of 2 to 3 days, we were decorated in an hour. Now I have gained time to focus on other holiday preparations and feel more focused. My story doesn’t end here. We live in a small, private neighborhood and I noticed the neighbors putting beautiful decorations outside, which I also enjoy doing. I kept looking at our boring, empty deck. It was unseasonably warm, no snow and I could decorate wearing flip flops. 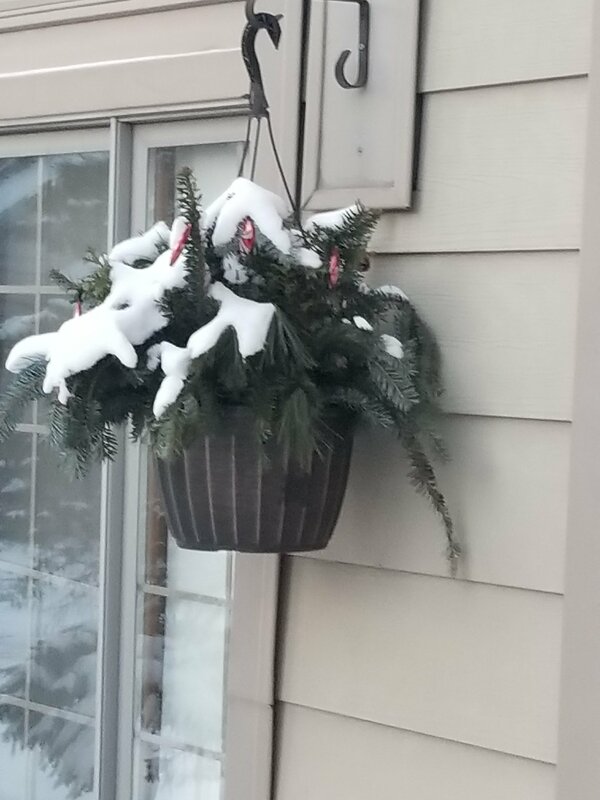 While at our local hardware store, there were beautiful winter arrangements made with evergreen trees that will last through the harsh elements. I excitedly purchased those, along with some other outdoor decor. I’d been admiring our pretty deck for 2 weeks. Then…..it snowed 2 days ago!! My beautiful plants are covered! This is a lesson to me that I did not need plants on a deck we will not use this winter. My emotions were caught up in thinking our deck had to look pretty for the neighbors. In reality, they are not looking at our deck while rushing in to beat the cold! My money could have been spent more wisely. Lessons crop up at the darndest times! Will our traditional tree go up next year? Most likely it will, as we will be home, but not from any sense of obligation. 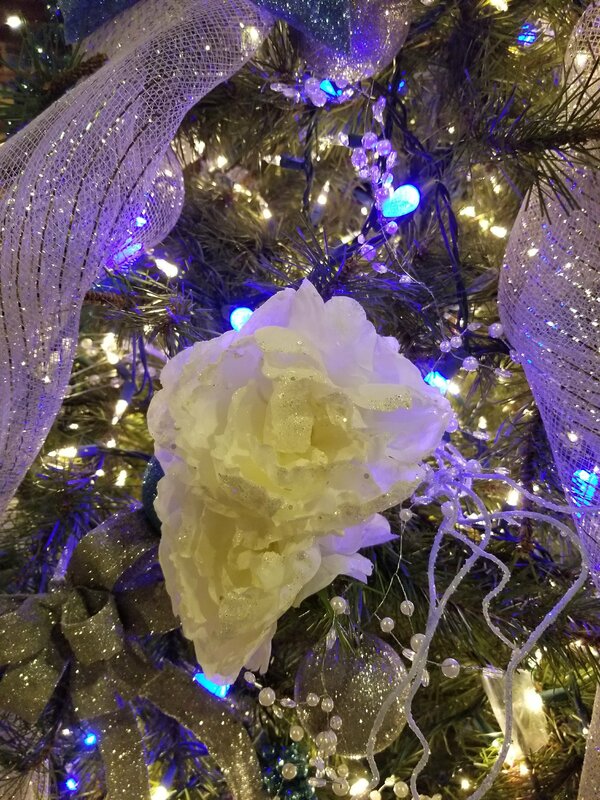 As I thoroughly enjoy Christmas, there will always be decorating, but the excess will be gone!